I am launching a range of bespoke upholstery inspired by Mid Century designs. 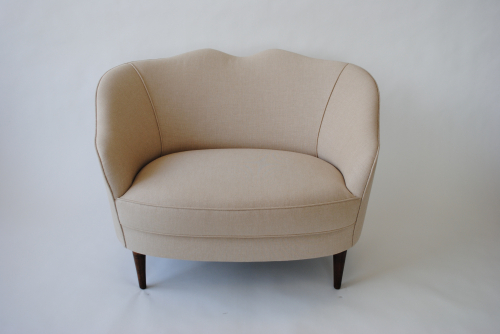 This beautifully sculpted back sofa is similar in style to a 1950`s Gio Ponti design. This elegant piece would make a perfect occasional seat in a hall, landing or bedroom and the measurements can be adjusted slightly to suit the client`s requirements. The Italian style cone feet can also be stained to any wood finish.